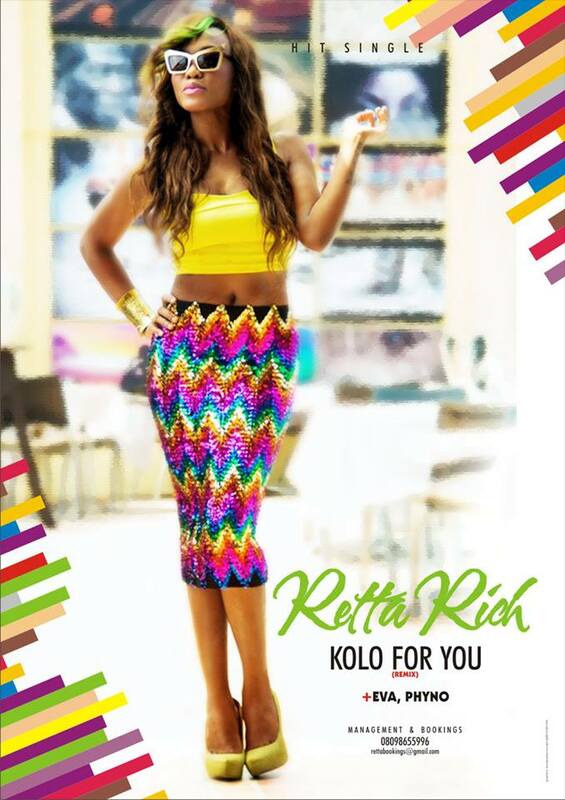 Emerging star singer, Retta Rich has come to represent a distinctive sound, one of the very few African singers who is best described as Rich, Fun, Young, Pop and very Soulful since debuting in 2010 with the highly successful solo, 'Kolo For You'. A series of critically acclaimed singles including 'Tomorrow', 'Would You Be Mine' and 'Who Be Fool?' in 2012 have followed from the beautiful singer who has stayed active - performing and spending ample time in the studio, making music. Here's a new offering, remix of 'Kolo For You'. Still keeping with the original theme of Soul/Pop and slight techno influences while fusing in some added horns and stylings, the “Kolo for you (Remix)” sees Retta in ace form as she dominates this Oscar Herman Akah-produced musical backdrop - Retta, with her beautifully distinct vocal delivery filled with exciting Pop sensibility, Eva and Phyno's infectious flow. Look out for the music video from Retta who is currently working with NuffNoiz management team, but in the meantime, enjoy the “Kolo For You (Remix)” featuring Eva, Phyno and Casey Ed below.